After a considerable amount of time, I have jumped back into the sewing game by trying out another pattern from my collection. As a newly minted adult, I noticed that my sleepwear options were pretty dismal. Just old t-shirts and shorts I would wear to bed. 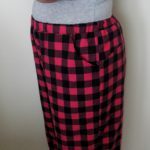 And with sleepwear becoming trendy outerwear in fashion, I wanted to created more official clothing items to sleep in. 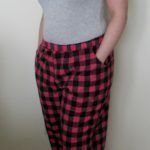 Particularly during the colder months, it would be nice to have some flannel pajama pants to keep warm, and some cute pajama sets in lighter fabrics the rest of the time. 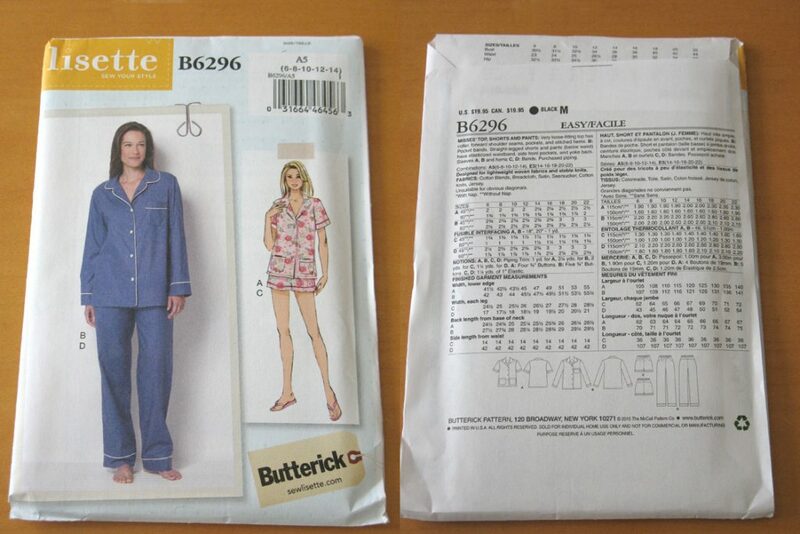 I jumped for joy when I saw this Lisette set from Butterick because believe it or not, there aren’t many stylish sleepwear patterns out there (actually saw an all-ages long sleeved onesie pattern, what? ), so I immediately bought this to make my polished sleepwear. When it came to sewing these pants, I had a easy time doing it. 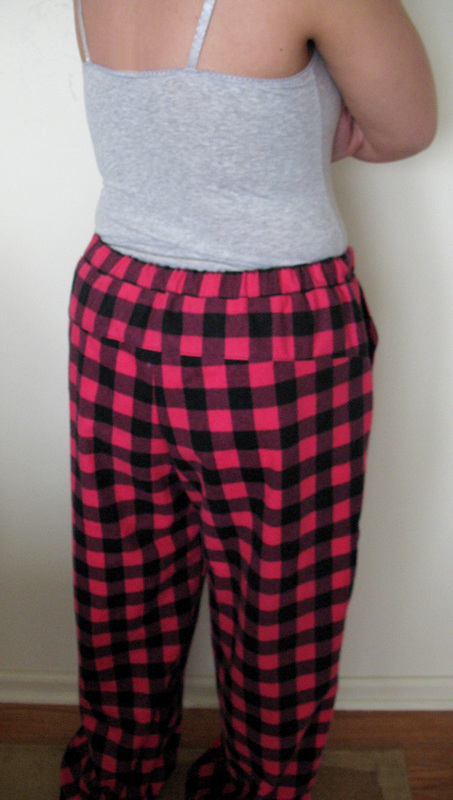 The instructions were clear and simple to follow, which for pants patterns is pretty nice. The pockets are my favorite part of the design because I like to carry things to and from my bedside, and these pockets are very roomy. I made these in a size 18 to fit my measurements (waist 32 1/2″ hips 41″), and they actually ended up a little too big on me. 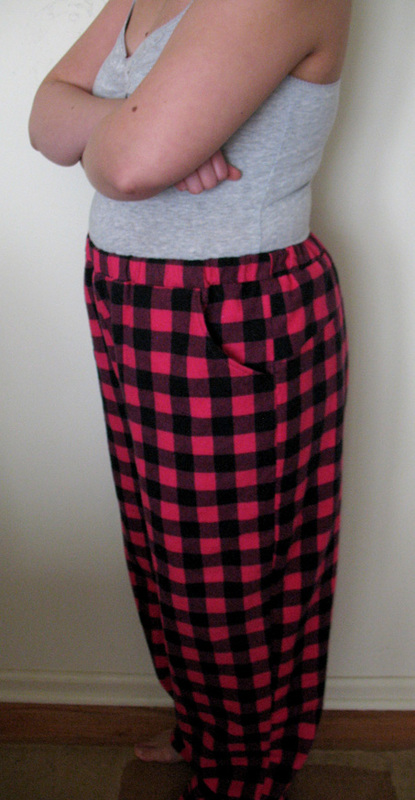 The waistband sits lower on my waist and the legs are very roomy and long for my 5 ft 4 in frame. 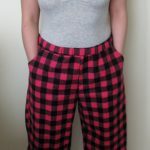 This project was also the first time I ever used piping in sewing, and I was able to do it save for aligning the ends with the pants inseam which came out a little off from the inseam. 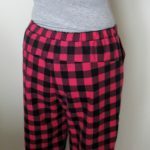 With all these notes in mind, I will make another pair of flannel pajama pants that hopefully will improve on the last pair. 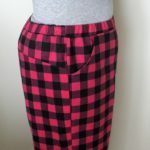 I think I will try making them in a smaller size and shorten the pant leg length to make them a little more fitted. There are some other things I would like to make from this pattern, so there will be more posts in the future on this Butterick pattern set to see if the shirt and shorts work out as well as the pants did.